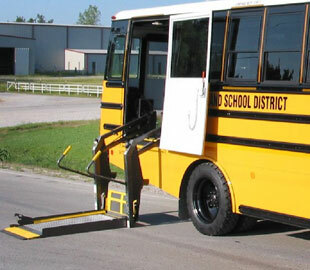 National Bus Sales is an authorized dealer for Braun wheelchair lifts. We can install a lift, track seating, and add wheelchair stations to your buses providing the flexibility to meet your current needs. For more information, call us at 1.800.475.1439 or contact us.